A home inspection can save you headaches before you move into what you thought was a dream home. It is easy to overlook problem areas when you are caught up in the house itself, your mind is filled with where you are to put the furniture, more than it is on whether the furnace is in good working order. This is where a good home inspection can save you from a small amount to a huge pile of trouble. 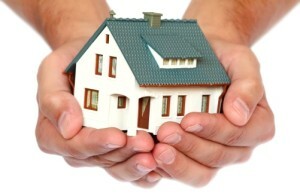 A home inspection from Lakes Area Home Inspections is a little like an insurance policy. You hire us, trained professionals, to look at the house with a critical eye and find the problem areas. We are trained to look for areas that need repair or which contain defects. Many of these are not visible to the naked eye, such as cracked foundation or worn-out plumbing. 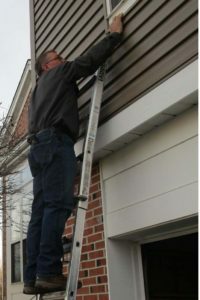 This is what we, the home inspectors are looking for. Without a home inspection, you have no recourse against the seller. It is the only thing that stands between you and the seller in negotiating a fair price. Without the home inspection, you could face thousands of dollars in repairs that were not disclosed during the purchase process. Most home inspections cost between $250.00 and $500.00. This is a small price to pay to find problems with the home. According to statistics from the Federal Trade Commission, nearly 42% of homebuyers face unexpected repairs in their homes costing an average of $500.00 after moving in. More than one in nine are forced to pay more than $1000.00 for repairs. This puts the small investment for a home inspection into perspective. Problems – What am I looking for? As a qualified inspector I might very well find problems you would not want to live with and that might be the reason you do not close on the house. Ideally the seller will offer to repair any problems so the deal will close, or at least agree to adjust the price to cover the repair costs. This is why adding an inspection contingency clause in the contract is essential. How would you like to close on your house only to find out that the air conditioning doesn’t work the first hot day? Or the furnace when the first frost hits? These are things we at Lakes Area will look for. I was really pleased with the home inspection I received from Mike at L.A.H.I. Inc. Mike was very straight forward, knowledgeable, and courteous. He provided a great service at a great price.